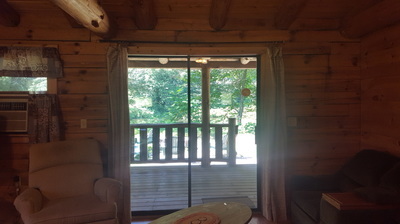 This quaint cottage overlooks, the entire Peaceful Valley with a full view of the mountain ranges and meadows. 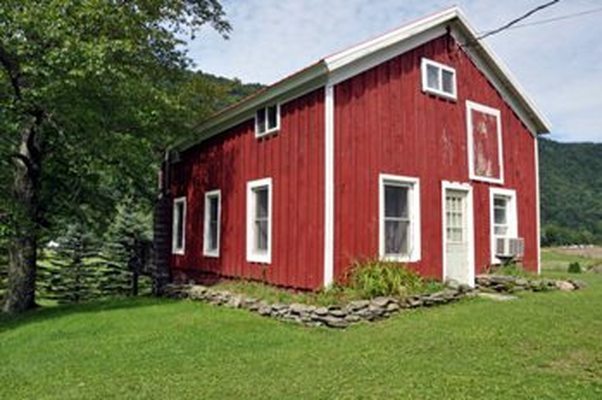 It is the original farm house building on the 500 acre estate. 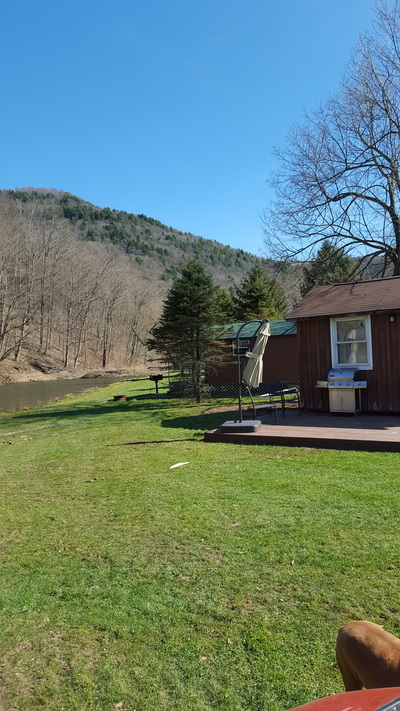 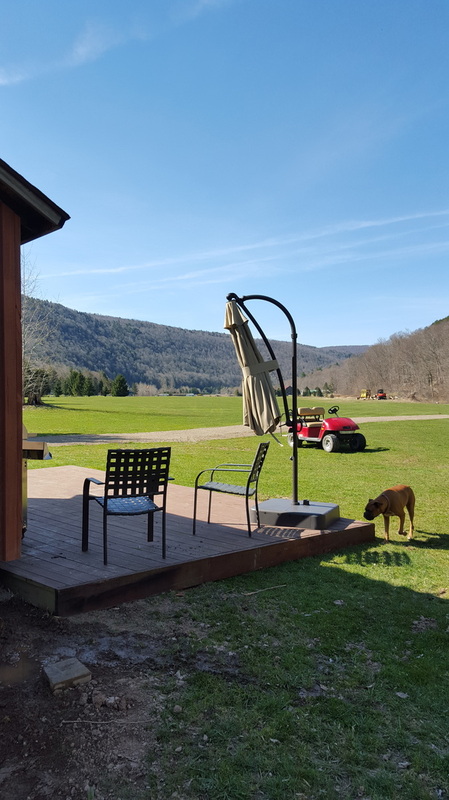 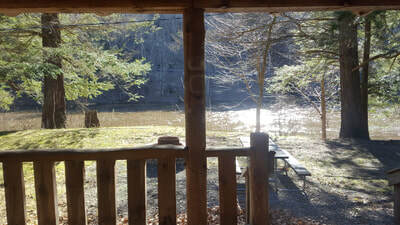 Sit back and relax on your sprawling covered porch nestled among the pines between two mountain ranges and right on the crystal clear, Delaware River. 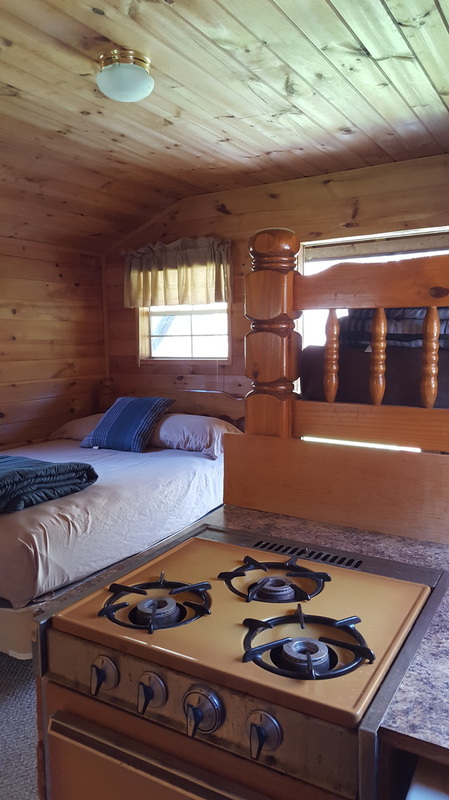 Make a choice, anytime of the year, to have a cozy fire inside or out! 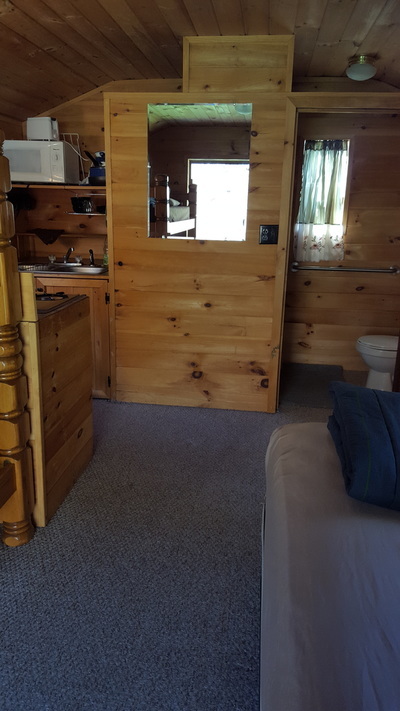 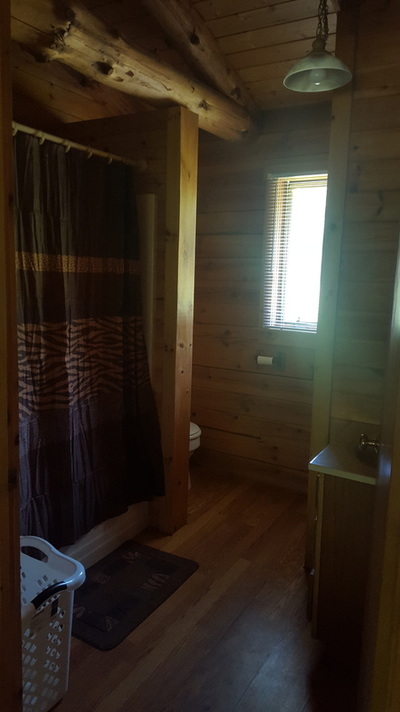 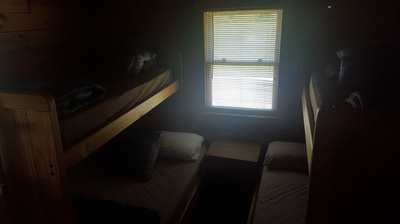 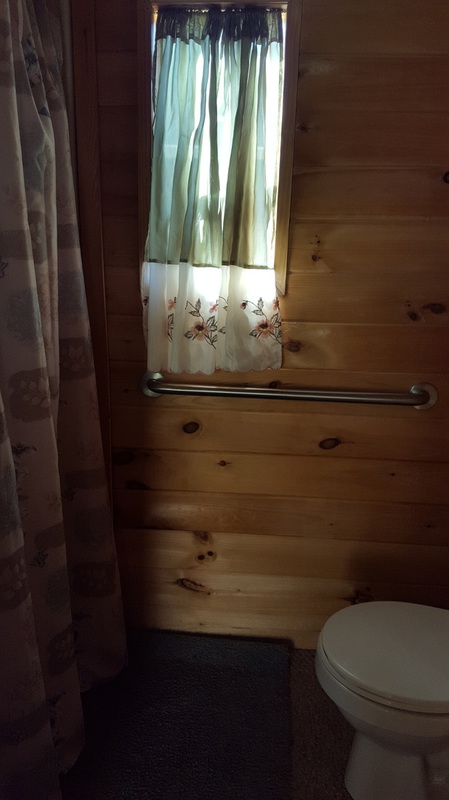 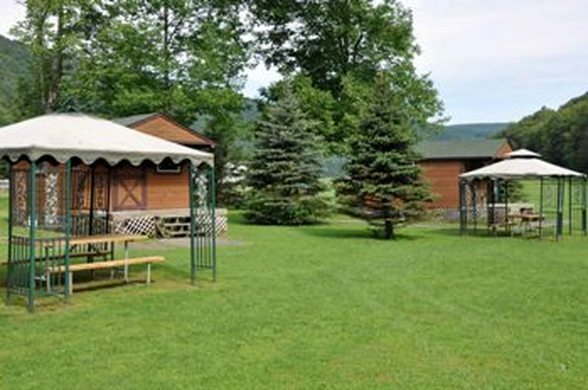 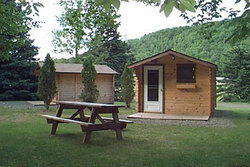 Private bathroom and shower, small kitchenette, one queen bed and two bunks. 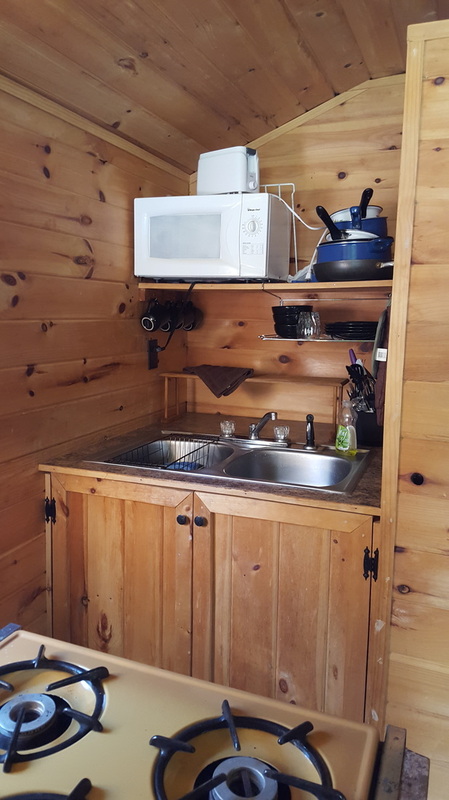 Theses charming cabinettes are located on the edge of the pond. 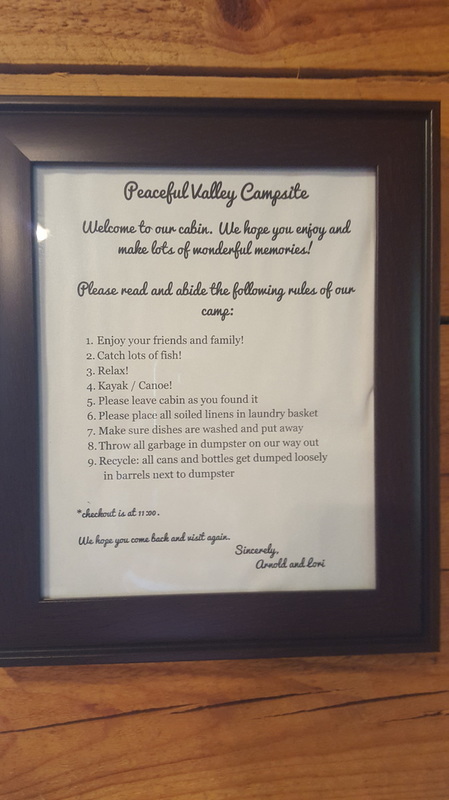 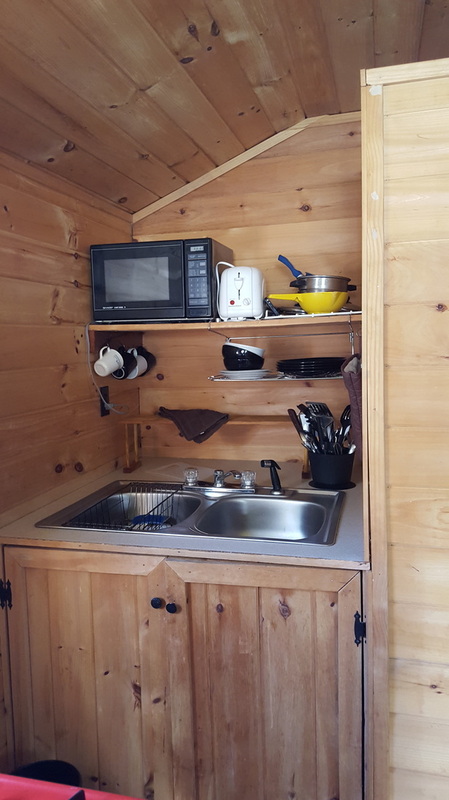 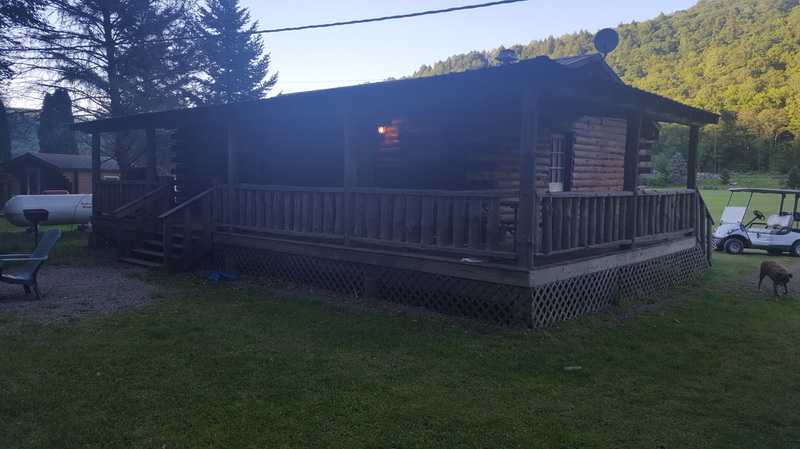 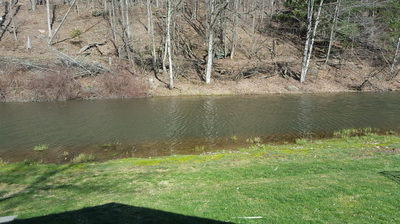 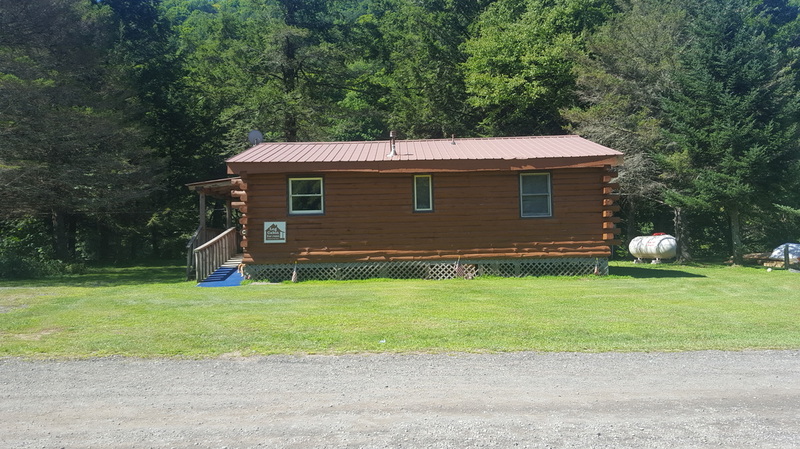 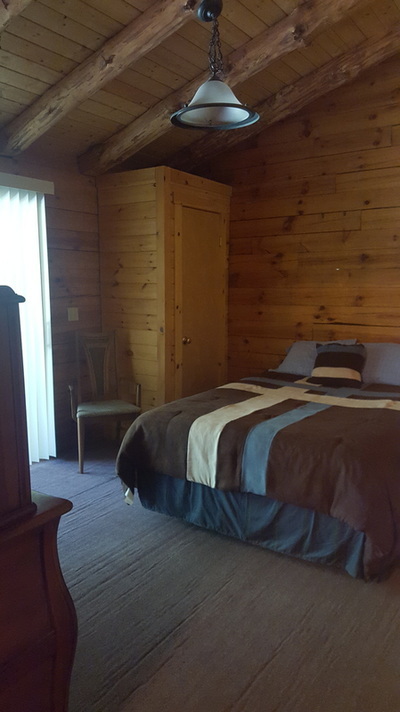 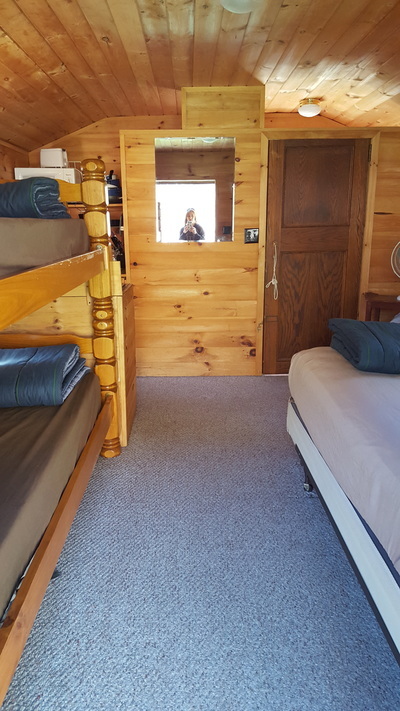 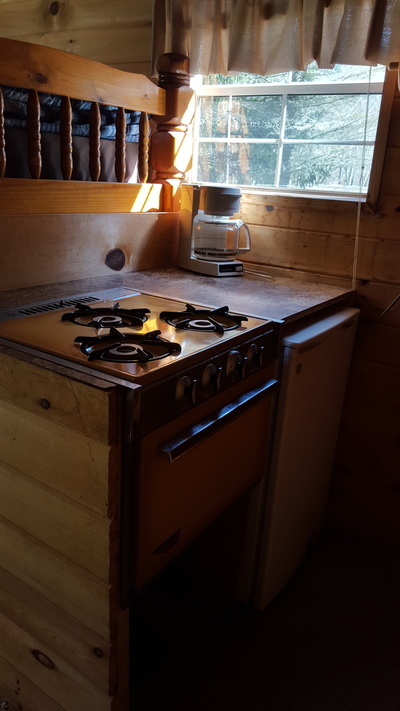 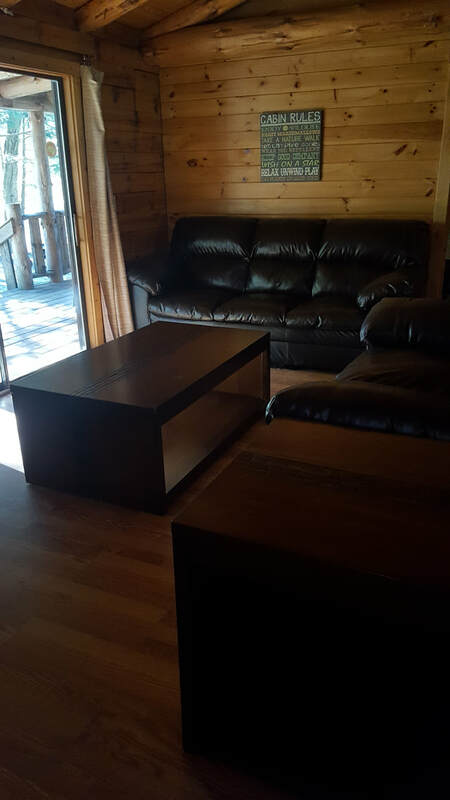 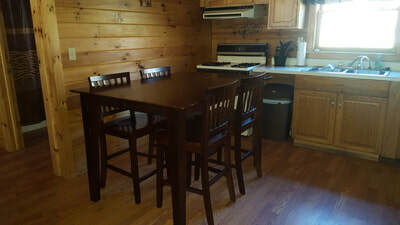 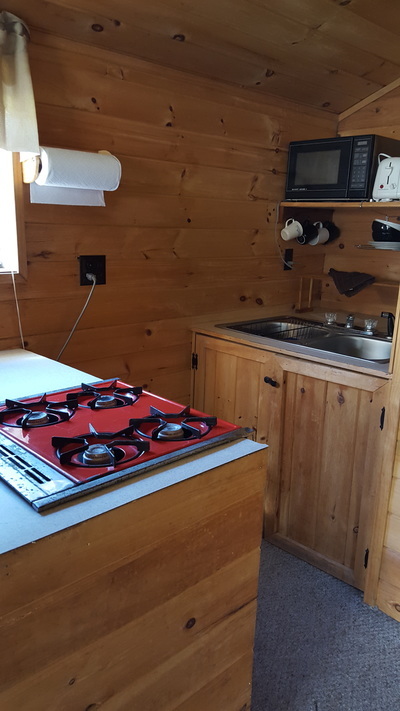 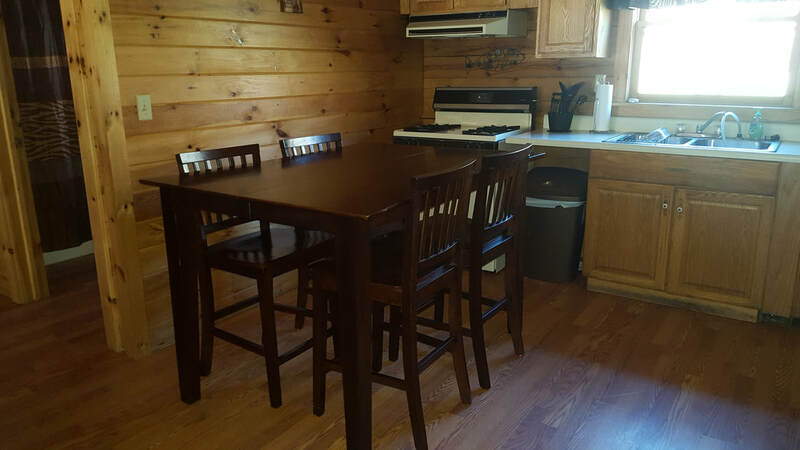 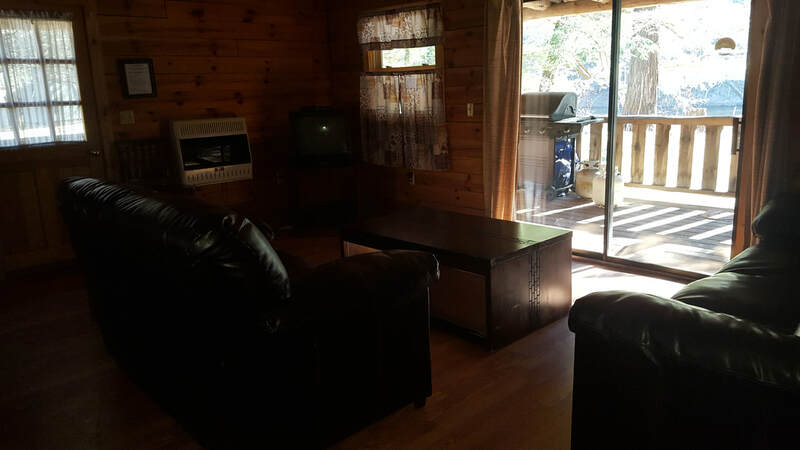 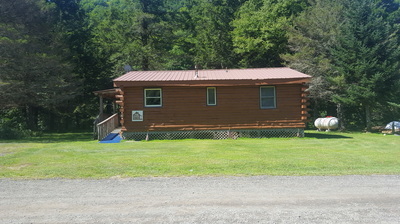 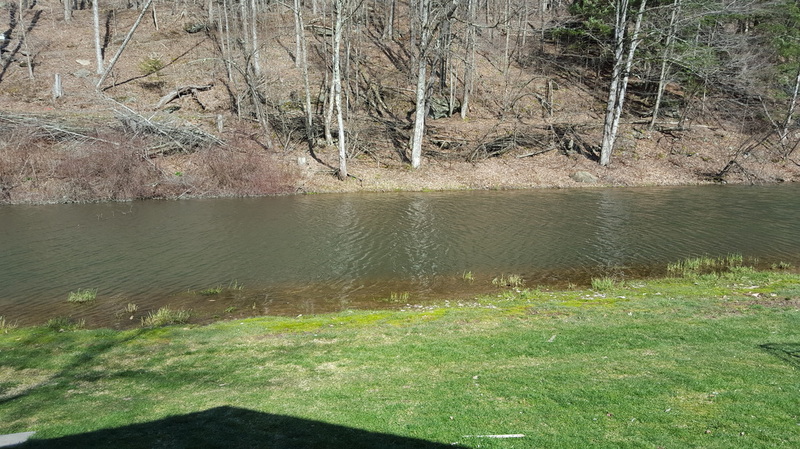 Unit sleeps 6 ..2 bunks with full bed on bottom and twin bed on top.. unit has a small fridge and a full bathroom..guest supplies all linnens and toiletries! be charged half a day charge. 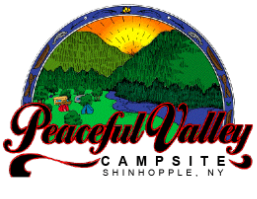 Select a sunny or shaded area on one of our 3 island, river front, or mainland campsites. 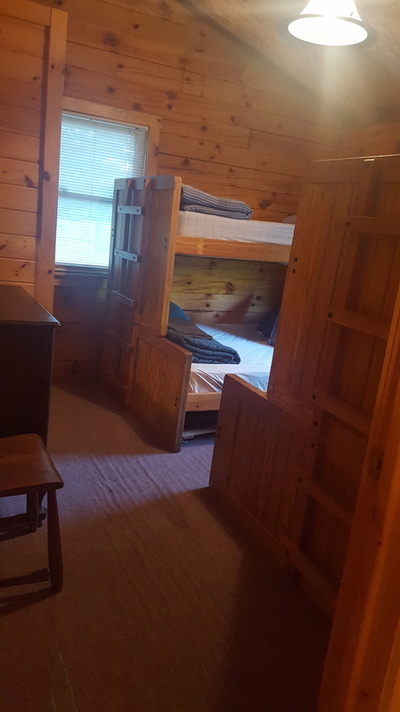 Children 5 & under FREE!! !